Starring Thomas Horn, Danny Glover, Josh Lucas, Dermot Mulroney, Mira Sorvino and Booboo Stewart. Connect with Space Warriors on Facebook, Twitter and YouTube! Click here to watch the Space Warriors music video. Produced by: Spencer Proffer, Jason Netter and Trevor Drinkwater in collaboration with the U.S. Space & Rocket Center Space Camp and Meteor 17. At the heart of Walden Media’s mission is our commitment to “recapture the imagination” and “rekindle curiosity.” We have always been and will always be committed to connecting entertainment with education. 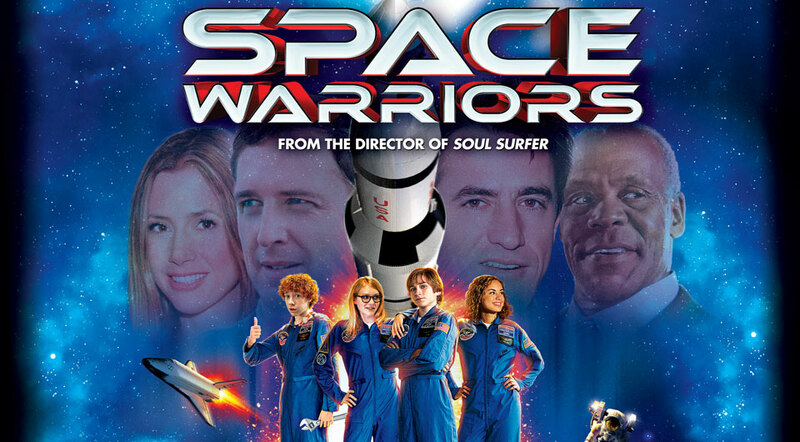 We are proud that the new Walden Family Theater film, Space Warriors, offers many examples that link to the principles of STEM (Science, Technology, Engineering and Mathematics). With help from our educational partners, we have gathered together a collection of activities, resources and suggested books that further extend that connection. Links to download those materials follow below, and you may also visit the Space Warriors YouTube page to view a curated selection of STEM videos.